Big tech, such as Google and Apple, have been looking to mobility as the next big thing and now Facebook has jumped on the bandwagon as well. Facebook has partnered up with Munich’s Digital Hub Mobility to find out how the future of urban mobility can be developed. TNW spoke with Martin Ott, Managing Director Central Europe at Facebook, and Kirstin Hegner, Managing Director at Digital Hub Mobility, to get a better idea about Facebook’s plans in Europe. While Facebook’s exact plans for mobility might be hard to pin down — there’s so much that could be improved (I’m looking at you late trains and traffic jams) — Ott says that one thing is absolutely certain: “Facebook does not intend to build cars.” So what exactly is it planning to do? Earlier this year, Facebook’s COO, Sheryl Sandberg made it abundantly clear when speaking at IAA in Frankfurt that the social media giant wouldn’t be entering into the car manufacturing business — which must have eased the tension of quite a few German car execs. Instead, Facebook intends to learn from Germany’s experienced automotive and mobility industry, with the announcement of this partnership in September. Facebook’s approach is quite understandable seeing that there are plenty of carmakers out there, which means the competition is fierce — whether it’s in the area autonomous or good ol’ person-at-the-wheel vehicles. If Facebook would go down the car making path, it would probably spend its time playing catch-up to Tesla and others, instead of focusing on innovation. It even sounds like it would take a more hands-off approach than Google, but we’ve known major tech companies to keep their self-driving efforts a secret. According to Ott, instead of making a car, Facebook will focus on how machines and platforms can be equipped with the ability to learn and share information, to improve mobility. It shouldn’t be a surprise that the company plans on using AI to reach that goal. We’re positive that our research around machine learning and artificial intelligence will be of great advantage to the challenges that the Digital Hub Mobility is looking at. We are committed to support the German digital transformation in a sector – the automotive industry – that is so essential to the future of businesses in the country. Facebook sees artificial intelligence as one of the big bets for the future. Therefore, we put great emphasis on research in this field. Facebook Artificial Intelligence Researchers (FAIR) who are based in Menlo Park, New York City and Paris, are heavily involved in the project. We are happy to share our knowledge and our expertise with all the other interesting partners in the form of trainings and hackathons. 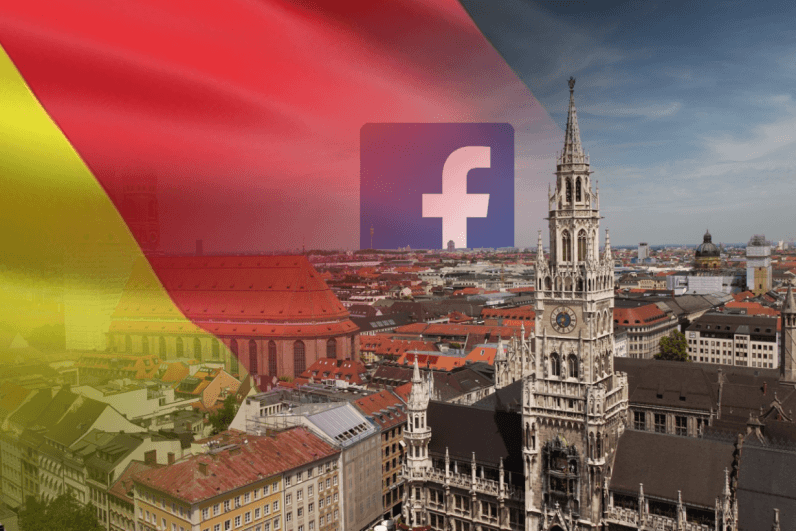 It seems that Facebook has the AI game pretty much down, with its vast financial and data resources, but why does it want to partner with a tech hub in Germany? Well, the answer is quite simple, Facebook doesn’t want to spend time reinventing the wheel when it can partner up with those who’ve already done it. But what exactly does the tech giant get from Germany? As we’ve explained before, Germany’s ‘Silicon Valley’ is quite unique, in the sense that it isn’t all concentrated in one place. Instead, Europe’s biggest economy has opted for splitting up it’s tech mecca into themed hubs that tap directly into the scientific and industry communities of certain fields. The one in Munich is focused on mobility and brings together OEMs, startups, universities, municipalities, and VCs in the automotive and mobility industry — basically providing the perfect community for Facebook to tap into. Kirstin Hegner, the Managing Director at Digital Hub Mobility, told TNW that she’s extremely happy with the partnership and that the hub can offer a lot to Facebook, just as it can enrich the hub’s network. Our hub is unique in the sense that we have some of the most attractive and best automobile and tech companies as well as mobility providers in the world participating. […] Our goal is to create mobility solutions that are attractive to users and help improve the traffic situation in large cities. Hegner adds that Facebook will also contribute to the hub’s Digital Product School, where companies can send their employees to take part in an intense full-time three month experience to work on creating digital products to solve real-world problems. Understanding and building intelligent machines, automotive cars, or new mobility concepts, is challenging and ambitious, and we know that making significant progress cannot be done in isolation. That is why we actively engage with the research community, with partners and experts. The people of the Digital Hub Initiative in Munich are acutely aware of this, and Hegner says that Facebook will be a great addition to work on one of the four key issues of future mobility. “It’s all about connected, it’s all about shared, it’s all about autonomous vehicles, and it’s about electric vehicles,” says Hegner. Facebook’s AI know-how that will greatly advance the efforts towards connectivity. It’s easy to see why Ott and Hegner are excited for the partnership as it seems like a match made in heaven. The German government launched its hub initiative to help industries digitize and pool together existing knowledge, while Facebook is looking to share its knowledge of AI and advance its mobility ambitions as quickly as possible. This partnership has the potential of greatly advancing mobility and I think it might be pretty cool in the end, especially if it results in less emissions (remember, climate change is real). So hopefully, our relentless picture-liking and news-feed-scrolling will lead to better public transport in the future.